Reed Cormorant (Microcarbo africanus) birds resting on branches. 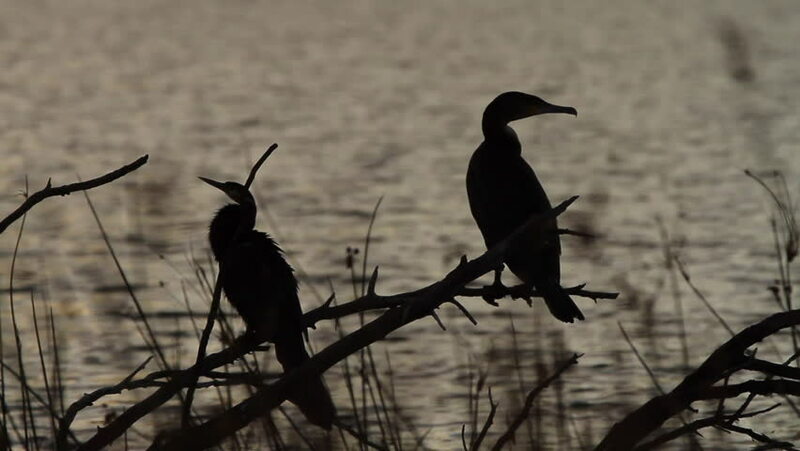 Cormorants are water birds and hunt for fish underwater and surface to swallow their meal and dry their wings. hd00:09Sparrow holds in its beak moss for building nest and sat on branch.